One of my early aerospace projects was trend research for Delta Airlines. The company was exploring options for retrofitting portions of their fleet including seating, galleys and lavatories. This project provided several interesting elements. Working directly for an airline rather than an OEM allows for more freedom of design and application of newer, trendier elements. additionally retrofitting an aircraft is a much more sustainable and cost efficent option than purchasing new models so there is often more allowance for spending. 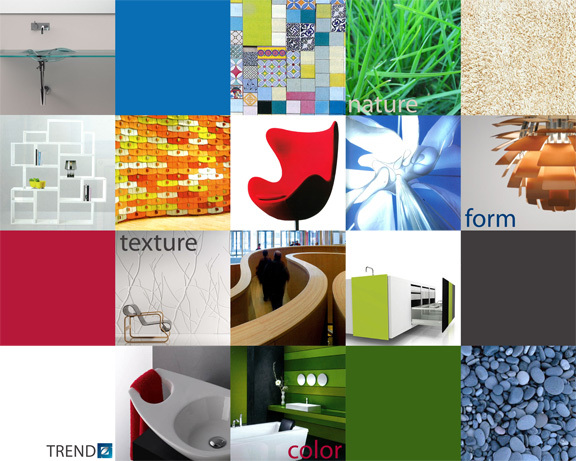 I developed trend documents to pitch to Delta executives focusing on form, texture and color. This large scale poster was intended as an inspirational element for further design phases as well as something the client could take away as a tangible result of our research.